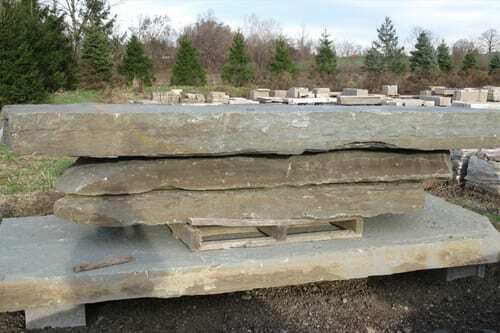 We have one of the largest selections of Bluestone Products in the northeastern United States. 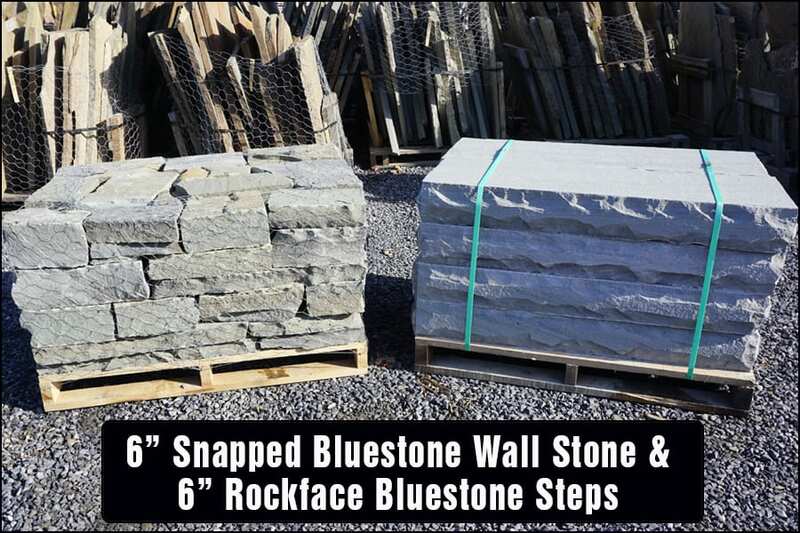 Our 11 Bluestone Product Categories are listed below with links to each of the categories. If you want to know more click on any picture to go to that product category and then scroll to find the specific product page your are interested in. 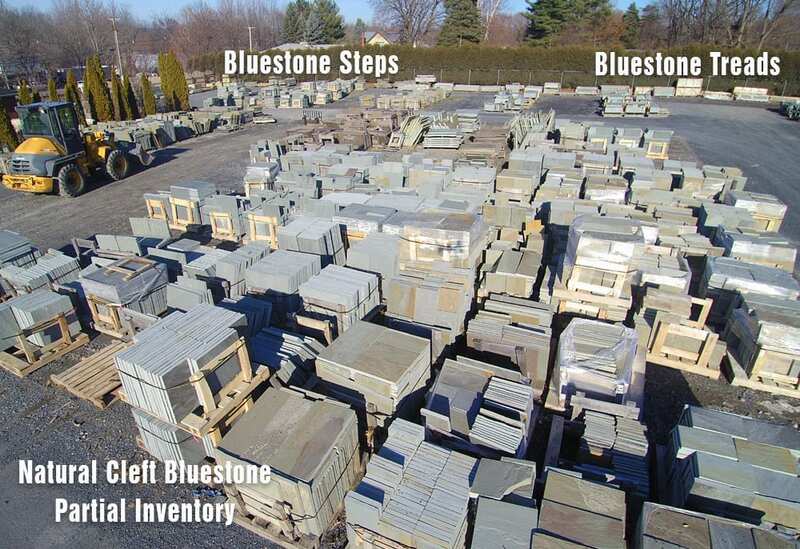 Our Bluestone Products are backed by a deep on site inventory. 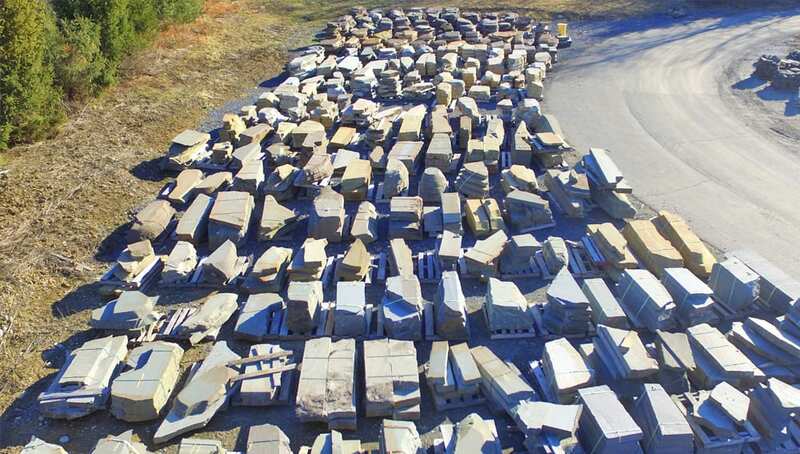 Bluestone remains one of the most popular Landscape Stone choices at Wicki Stone. 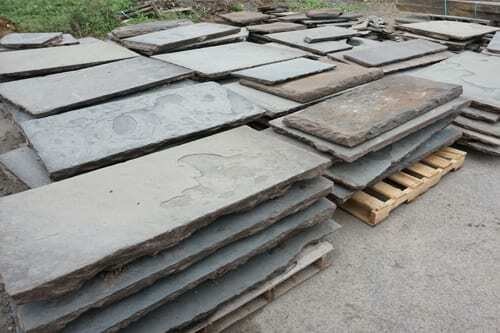 With Bluestone walkway and patio stone, pool and porch deck stone, wall stone, building stone, treads, steps, bridge and dive rocks, slabs and more - we have a great selection of Bluestone Products for sale. In addition we have a huge on site inventory and can easily accommodate most jobs without special orders. 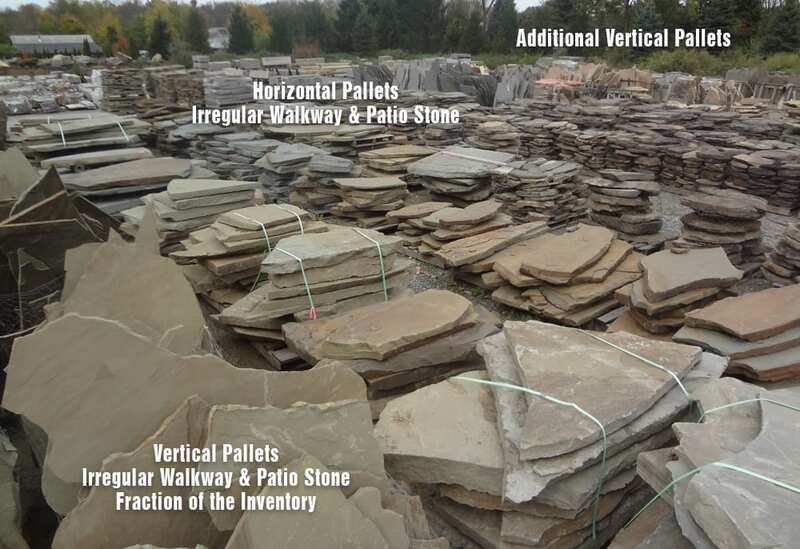 Our 10 acre northern New Jersey stone yard allows us to stock a wide selection, and deep inventory of Bluestone Products. 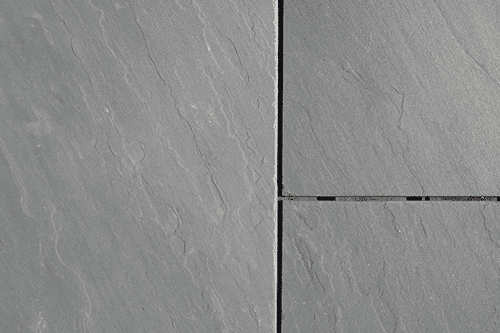 We have 5 basic types of pattern Bluestone walkway and patio stone to choose from. 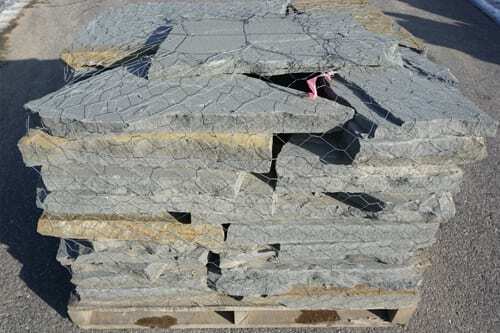 We have 2 types of Irregular Bluestone walkway and patio stone to choose from. These are horizontal pallets which contain smaller pieces. 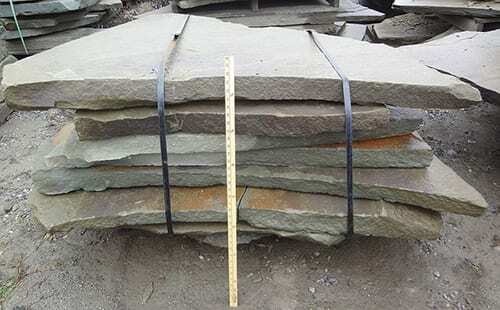 We have 1 type of oversize Irregular Bluestone walkway and patio stone. This is a horizontal pallet which contain larger pieces than the horizontal pallets shown above, and thicker pieces than the vertical pallets detailed below. 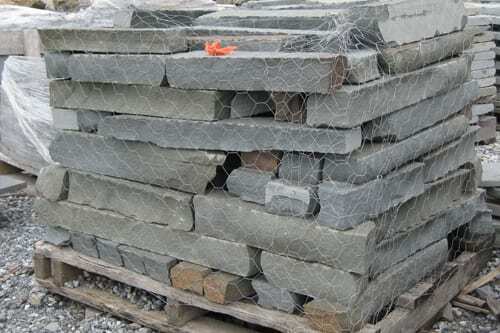 We have 2 basic types of vertical pallet Irregular Bluestone walkway and patio stone to choose from. These vertical pallets contain larger pieces than the horizontal pallets detailed above, but the pieces are thinner than the oversize pallets detailed above too. 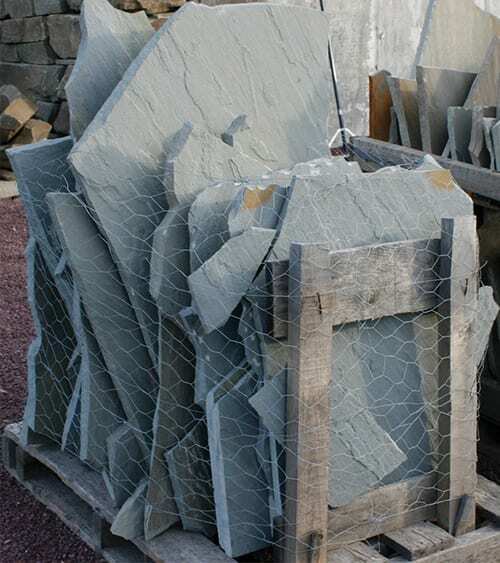 We have 2 basic types of Bluestone wall stone to choose from - snapped Bluestone and tumbled Bluestone. 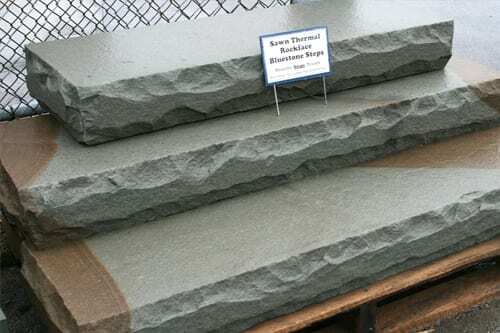 We have 5 types of Bluestone steps to choose from. 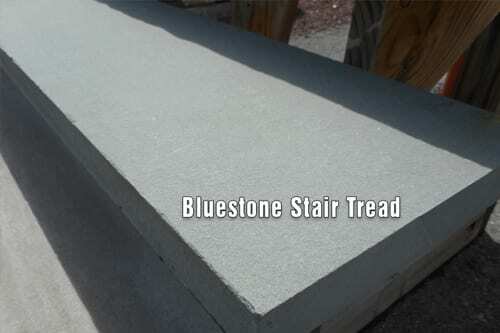 We have Bluestone stair treads with 2 finishing options and countless sizes. We carry a limited number of Bluestone building stone choices in full size veneer. Bluestone Strip Veneer (shown to the left) is an example of the type of full size veneer that we carry. However, we carry a wide range of Bluestone thin natural stone veneers and manufactured thin veneer. We have Bluestone Fireplace Mantles and Hearths as well as building Sills. We carry Reclaimed Bluestone, although as with all our reclaimed stone we are not in control of the supply - it comes to us in fits and starts. 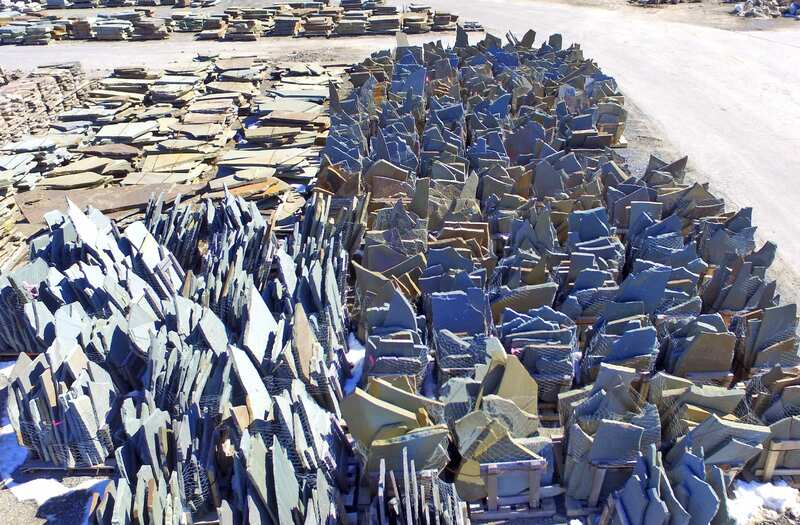 If you are interested in reclaimed stone we strongly suggest you call us before coming to the yard. 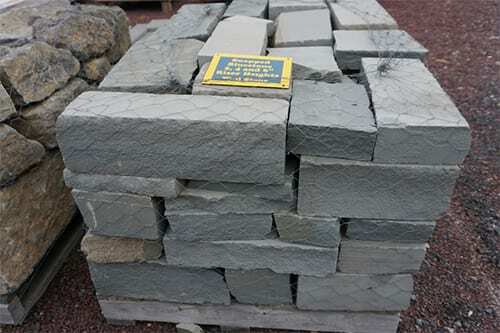 We carry Bluestone Bridge Rocks used to make bridges over water gardens or dry stream beds, or diving rocks for swimming pools or ponds. 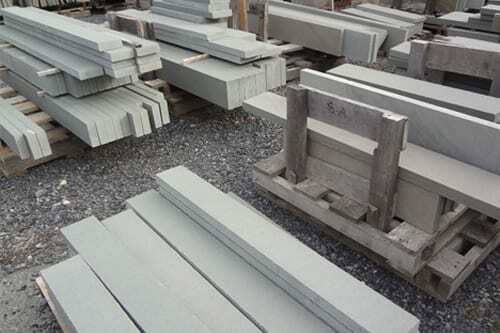 We carry a huge selection of bluestone and there is more stone in this picture than is immediately obvious. 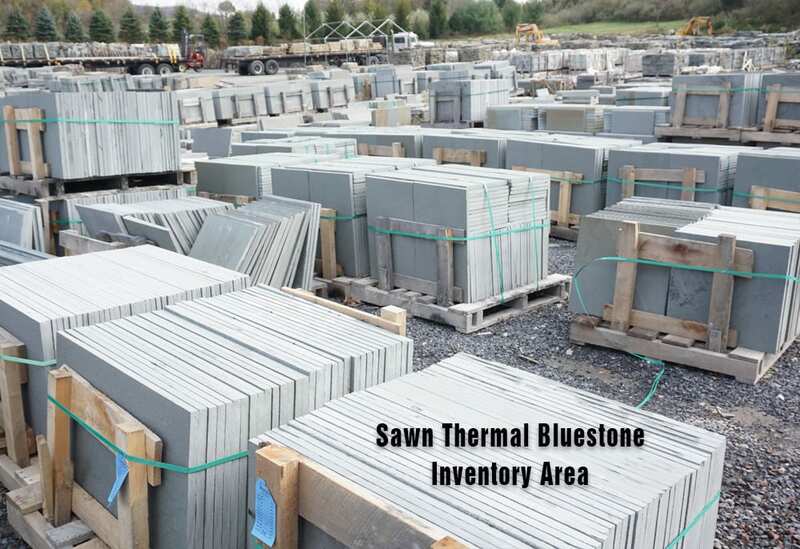 This is one of our largest bluestone inventory areas. We carry both full range color (sometimes called off color) and blue-blue sawn thermal bluestone walkway and patio stone.